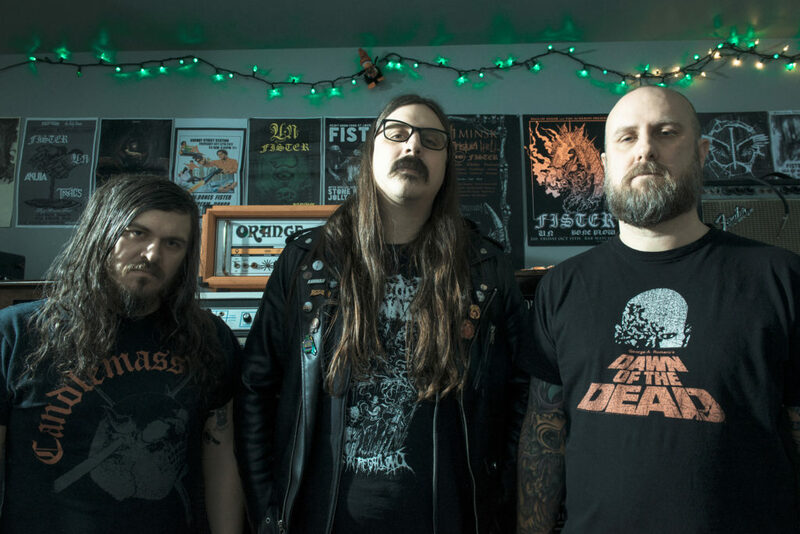 Missouri-based doom trio FISTER is pleased to unveil the grisly new video for “I Am Kuru.” The punishing psalm comes by way of the band’s No Spirit Within full-length released earlier this year via Listenable Records. Called, “a satisfyingly miserable experience dominated by crushing low-end and venom-dripping vocals,” by Bandcamp and hailed for its, “slow, trudging-and-grudgingly evil riffs,” by Metal Injection, the record was captured by Gabe Usery at Encapsulated Studios in St. Louis and exudes a sound so poisonous, polluted, and nihilistic that “sludge,” “doom,” “funeral,” and “death” are the only words close to suitable in description. View the band’s unsettling clip for “I Am Kuru” — a Doomed Asylum Production — below. No Spirit Within is out now on CD, LP, and cassette formats. For physical orders go to THIS LOCATION or HERE with additional merch available from the band HERE. FISTER is currently crumbling stages across the US and Canada with additional live performances to be announced in the weeks to come. See all confirmed dates below. Hailing from the confluence of infectious disease, arbitrary violence, and rivers of industrial filth that is St. Louis, Missouri, FISTER has been sublimating their brutally toxic environment into a deliberate and belligerent challenge to the eardrums since 2009. Comprised of bassist/vocalist Kenny Snarzyk, drummer Kirk Gatterer, and guitarist/vocalist Marcus Newstead, this trio converts an eclectic swarm of extreme metal influences into the sonic analogue of trench warfare, concussive, bloody, and exhausting. Honed to grisly sharpness through years of performance, they have shared stages with countless musicians, including supporting sludge icons Eyehategod and Crowbar and appearances at the SXSW, Psycho Las Vegas, and Roadburn festivals. Pairing their seismic live offerings with more than a dozen releases, they have literally poured their blood into the work along the way – for their 2012 EP Violence, the band members had blood drawn and mixed with the ink used to print the liner notes. From the hazy bulldozer bongripping of debut LP Bronsonic to 2015’s impossibly dismal IV, a gruesome and lysergic forty-four-minute long single track that tests the limits of adjectives like heavy or bleak, their sound is continually (d)evolving. 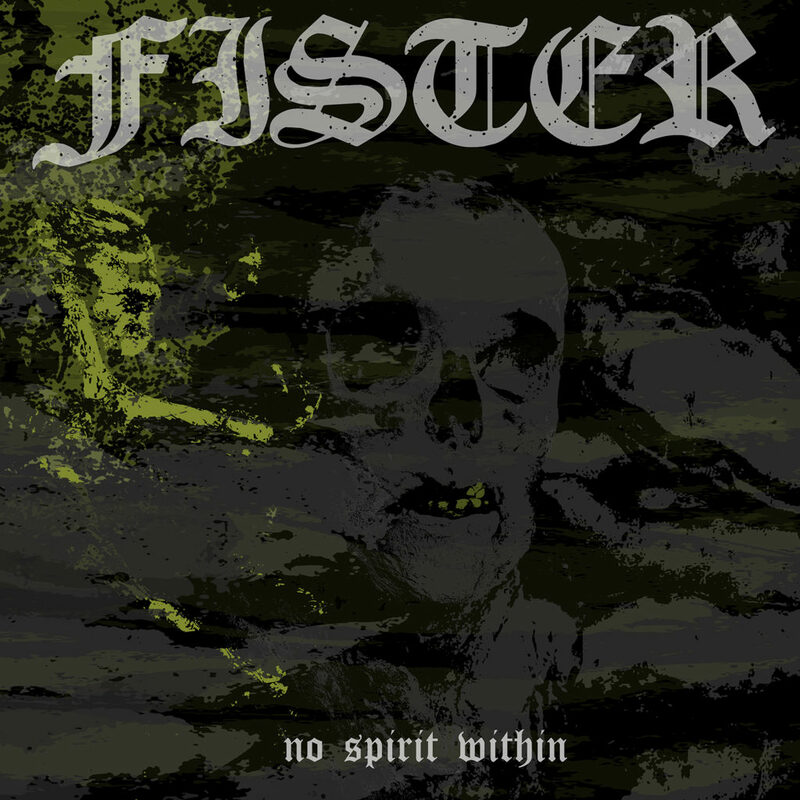 Consistently finding new ways to hit bottom in a sequence of splits with fellow underground juggernauts Dopethrone, Primitive Man, and Teeth among others, FISTER has emerged as one of the nastiest strains of doom metal, adept at fusing the narcotic tension of drowning in misery with the planet-splitting intensity of devout amplifier worship.